You have to give it to Bring Me The Horizon, the ambitious Sheffield group has barely stood still for a moment in their now thirteen years as a band. 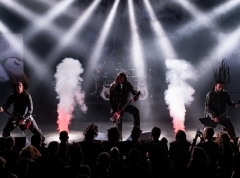 The group has developed from album to album, going all they way back to the frenzied deathcore of 2006's "Count Your Blessings", and transitioning gradually via metalcore into more and more melodic territory. With their fifth effort "That's The Spirit" they now complete their transformation into a widely appealing, hyper-modern hard-rock band. And it is a convincing transformation at that. The riffs and beats are simpler and there's more space for the listener to pick up on them, while the addition of electronics expert Jordan Fish to the band has likely helped facilitate the dramatic and compelling atmosphere that spreads right from the album's beginning. Frontman Oliver Sykes sounds like he's put in commendable work expanding on his ability as a melodic singer, yet there are still helpings of scratchy screams being extended in front of the - apparently unavoidable - "whoa-oh" refrains that are fortunately kept from being too obtrusive. Bring Me The Horizon sound more wholesome, more dynamic and most importantly, they sound like a band that has broken free of being tied down stylistically to any one niche genre. This has resulted in some songs that are so obviously catchy that it would be straight up dumb to argue otherwise. The opening salvo of "Doomed", "Happy Song", "Throne" and "True Friends" all go straight to the memory bank, ready to make the listener feel at home on all following listens. The early single "Drown", as well as the tracks "Avalanche" and "Blasphemy", also stand up and carry the later half of the album, so overall, if you're counting hit candidates, "That's The Spirit" has some considerable consistency to it, to combine with its worth as a manifestation of a new sound for the band. That being said, there's no way around that the album is routinely flat out awful lyrically. 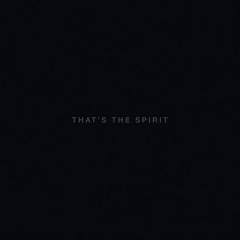 There has always been an element of debauchery in BMTH's universe, but this resonated better with the unhinged aggression of an earlier album like "Suicide Season", than it does with the lumbering dramatics of the intentionally ironically titled, and supposedly depression-tackling, "That's The Spirit". "True Friends" takes the cake as an anthem for petty people that like to hold onto grudges, while "Doomed", for instance, invokes self-pity ad nauseam, opening the album up with some obvious hater-baiting. Granted, there are messages of persevering in the face of adversity in there, most apparent on "Throne", but overall the wording repeatedly makes you wonder if either: a) Oliver Sykes would not have less of a hard time being Oliver Sykes if he maybe scrutinised himself a bit instead of seeing enemies on all sides or b) if the whole thing is actually just calculated word-salad aimed at getting troubled adolescents riled up. It makes for a continually irritating stumbling point, when you're otherwise getting your groove on to the better arrangements on here, because credit where credit is due, BMTH's balancing of riffs, synths, samples, singing and screaming often hits the mark. For example the string hook in the back of "True Friends" is one of the most maddeningly catchy things on the record, yet the synth-filled, Linkin Park-ish "Throne" ends up as a more inviting song, simply because you feel like less dumb for singing along. Then there are some duds as well, which could risk being overlooked in between the singles. What's up with the Timbaland-ish "uh-oh" 's echoing constantly in "Run"? And did BMTH remember to give The 1975 their saxophone back after borrowing it for the closing track "Oh No"? - A song that does actually end with a superfluous portion of that hollow "whoa-oh-oh" nonsense that big rock records routinely fall back on. As for the child-cheers on "Happy Song", well, they help the song stand out, but it figures to be a fifty-fifty chance whether they will grate on your ears on future returns to the song. 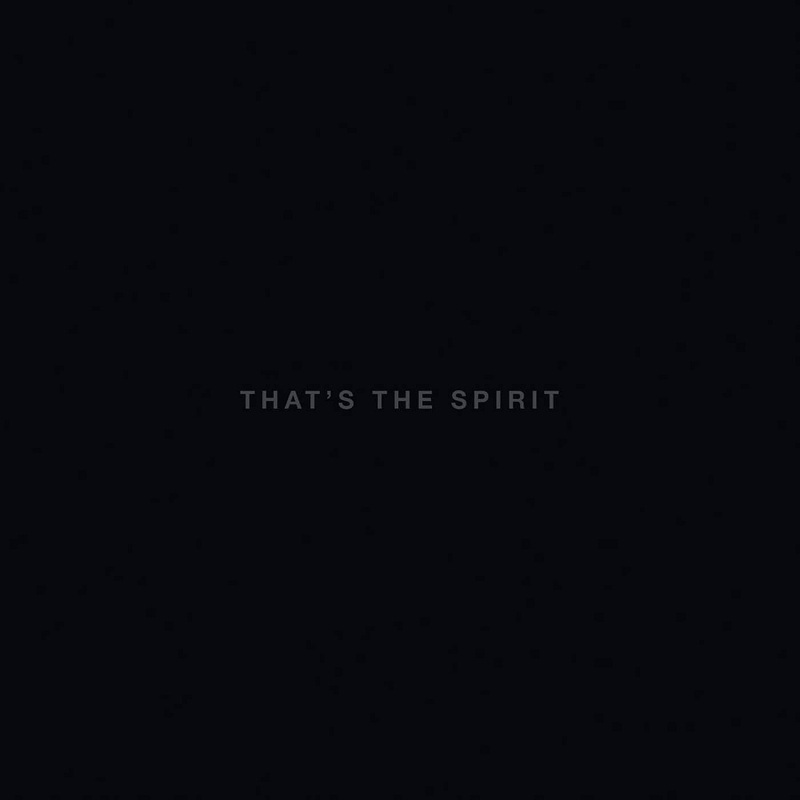 Will "That's The Spirit" be Bring Me The Horizon's biggest album yet then? No doubt it will because it is indeed immediately catchy and because any hard-to-get-into musical elements except for the screams have been filtered out. Will it be their best? Hardly. There's too much edge lost, and the clumsy anger of the content takes away from the deftness of the arrangements once you give it some closer inspection. There is hope, though, because if BMTH still sound this convincing even in a blatant attempt at broadening out their sound as much as possible, it shows that they continue to mature well musically - Now if only they could mature as well lyrically.